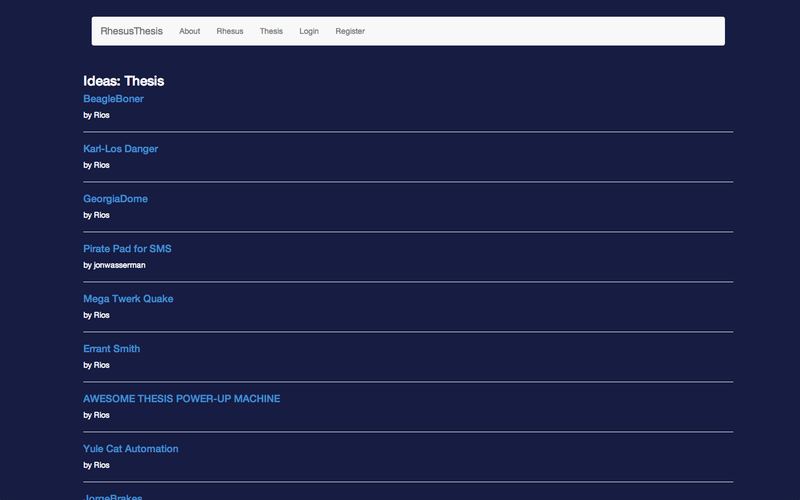 A project born from conversations on the ITP email message board, RhesusThesis is a website designed using Python, HTML and CSS to give students the opportunity to share serious and not so serious ideas for Thesis projects. It was built to encourage playing with the concept of a thesis in a risk-free environment. 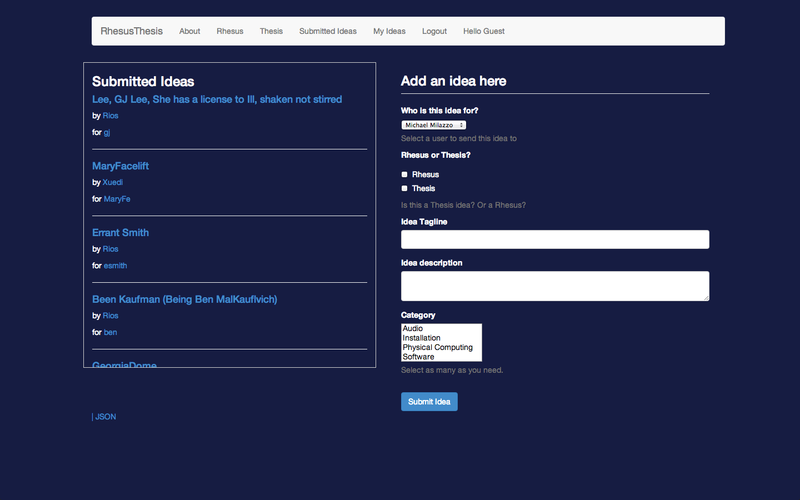 Anonymous users can view ideas, but need to register and login to be able to contribute. 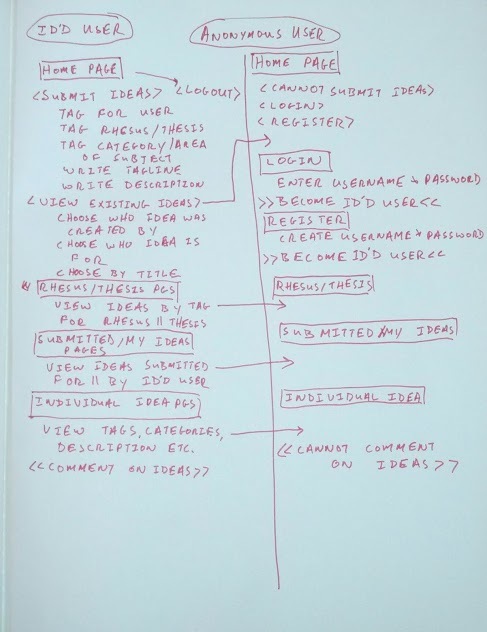 Once logged in, users add ideas to a database, which they can view according to who the entry was created for, who it was created by and whether or not the idea is a Thesis (a serious idea) or a Rhesus (a not so serious one). 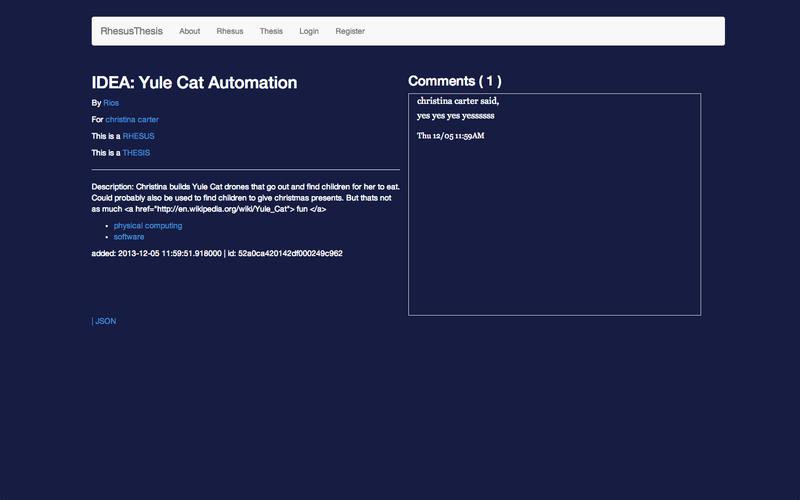 The application is currently under maintenance, but you can see the github repo here.